Think dimmer switch, not light switch. After a long and very difficult stretch of weather during most of July and the first part of August, many of the stressed areas on the golf course have begun to heal. When we come to the end of stretches like this (not that we have had one this severe before) it must be understood that we cannot, or will not, rush right back into our normal maintenance practices. Currently, we continue to mow at a slightly higher height of cut on the greens, but a rolling schedule is slowly being introduced since the density on the greens is improving. The damage that occurred happened quite quickly, but it will take awhile to reach full recovery. The best analogy I could come up with is a light switch. We can’t just flip a switch and be back to normal. We have to slowly ramp back up (like a dimmer switch) until we reach normal conditioning. If we rush into recovery, we run a very high risk of taking a step backwards. Obviously, this is not something we want to see happen. After the previous paragraphs, this next statement will probably sound a little hypocritical: I am not very patient when it comes to recovery. With that being said, a number of the larger areas in the fairways that were damaged from the Pythium Blight (see previous posts) are being repaired with sod, as opposed to waiting for seed to germinate. When recovering from a summer like we have had, the importance of a good nursery is invaluable. The Bentgrass that is grown on the fairway nursery (see picture) is the same type that is found on our fairways. Because of this, when it is installed on the golf course, it is a near perfect match and should blend in immediately. 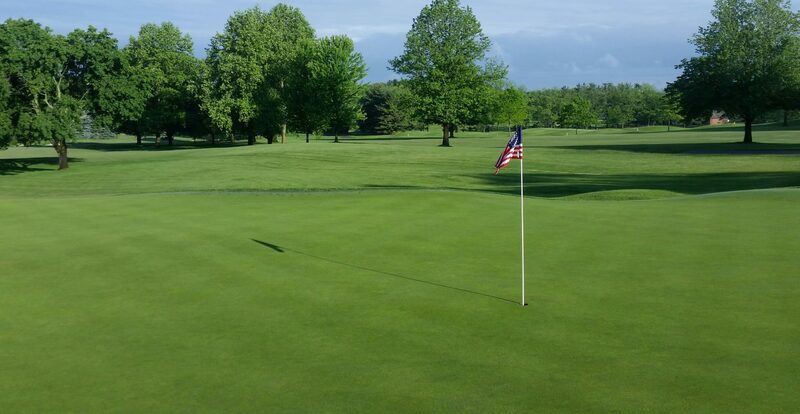 We currently have two greens nurseries (established from plugs of the greens on the course), two Bluegrass nurseries and a very large Bentgrass tee/fairway nursery. Each one of these nurseries is maintained like their corresponding areas on the golf course so that if the need arises, it can be used and have an immediate impact. 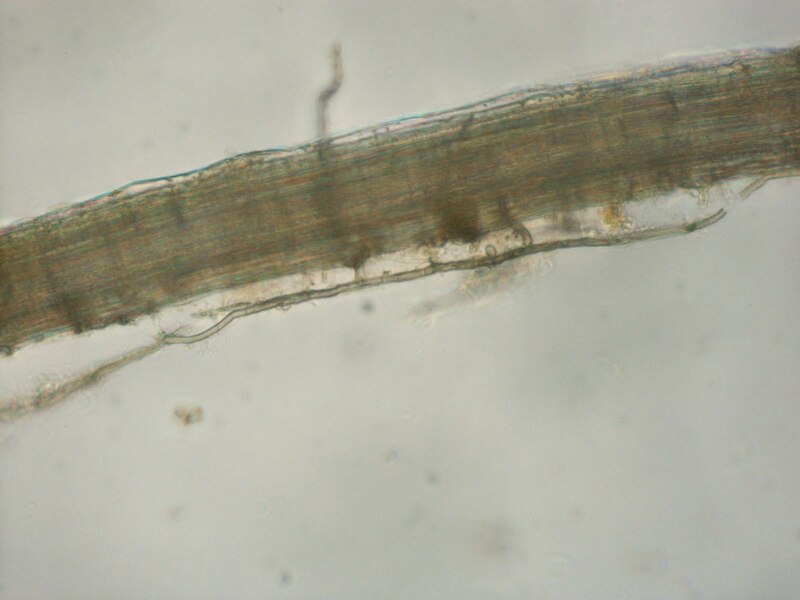 An up close look at the hyphae from the Summer Patch pathogen on a root sample taken from one of our greens. 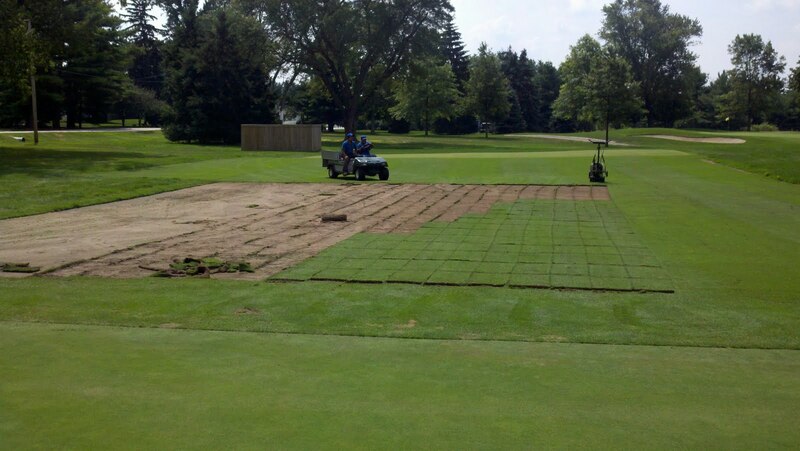 An area on #14 green that was affected by Summer Patch, but is now recovering. Notice the Bentgrass moving into the voids where the Annual Bluegrass was prior to infection. As you are all aware, we continue to face some agronomic challenges on the golf course. Some of the challenges are residual effects of the high heat and humidity from a few weeks ago﻿ and some have recently developed that we are attempting to get under control (more on this in my next blog update). Lastly, some of the challenges that are ongoing, are ones that can easily be prevented. As I drive around the course each day, I am constantly amazed at some of the things I witness. Below are some photos of issues that continually occur and lead to additional work for myself and my staff. Please keep in mind that we have enough problems on our plate right now and don’t need additional issues leading to even more set-backs. As always, please click on the photos for a more detailed view. 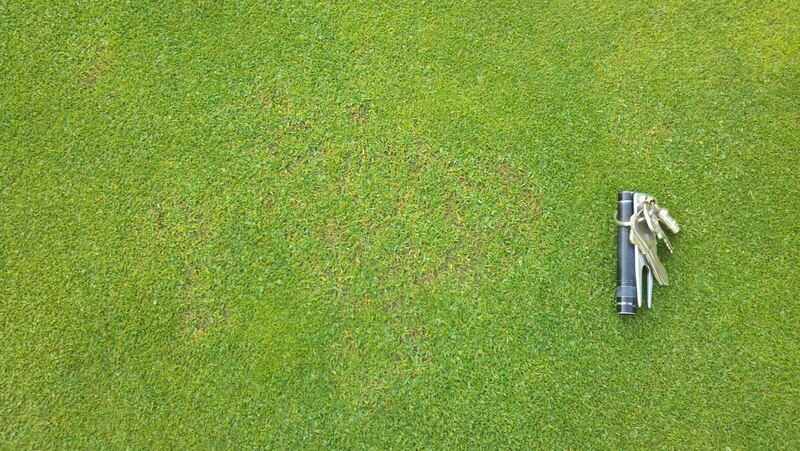 Unrepaired ballmarks are a constant problem on every green everyday, not just on Monday’s. Please take time to locate your own ballmark and repair it. If everyone repaired their own ballmarks (I am constantly assured that this happens) then there shouldn’t be any on the greens. Healing time for an unrepaired or improperly repaired ballmark is drastically longer than one that is repaired correctly. 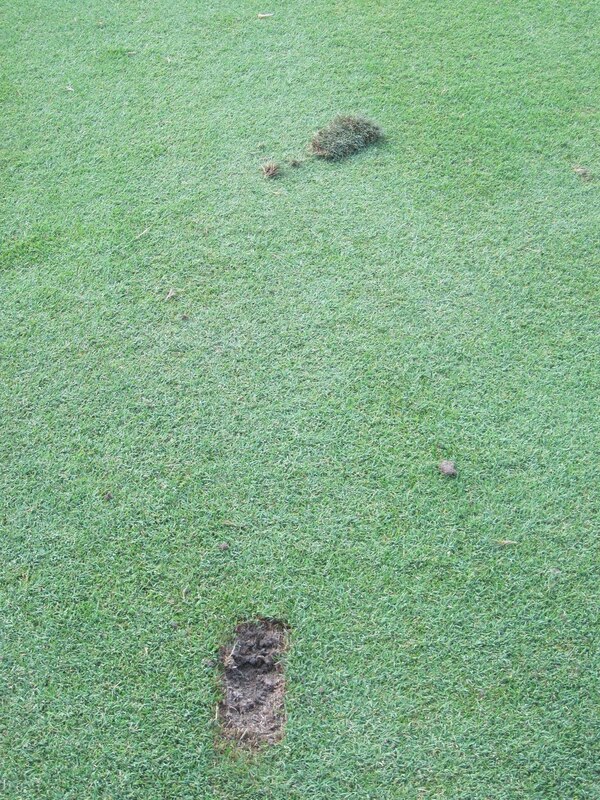 Unrepaired divots. 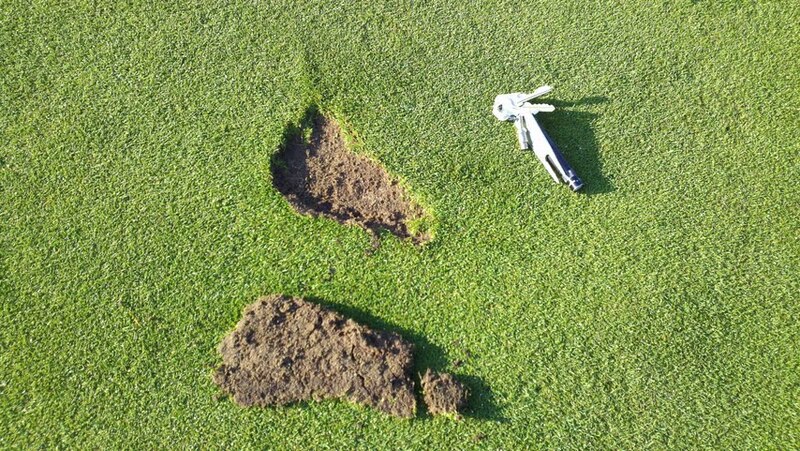 Even though my staff will go through and remove many of the divots that don’t heal, this is not an excuse to not repair them at all. Divots left in the fairway take a tremendous toll on our mowers and if several are left in the fairways, we must take an additional step to blow the fairways off before we mow them, or collect them by hand. Please know that we do not rake the bunkers everyday. 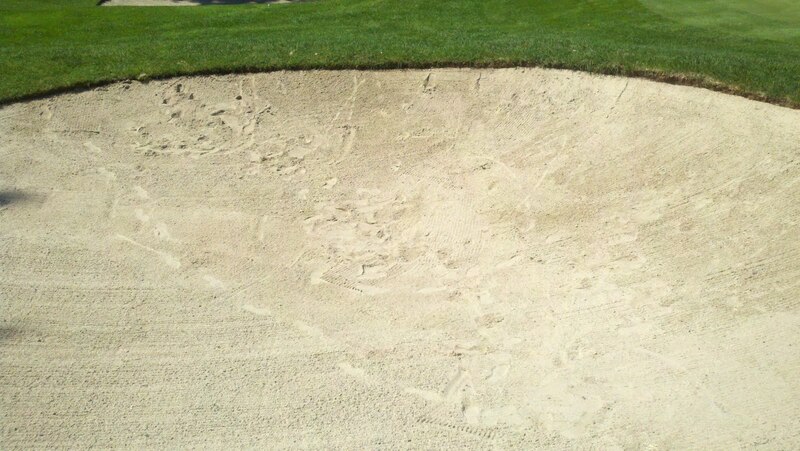 When individuals do not rake their bunkers after playing from them or make a poor attempt at raking them, it leaves a poor playing surface for the groups that follow. 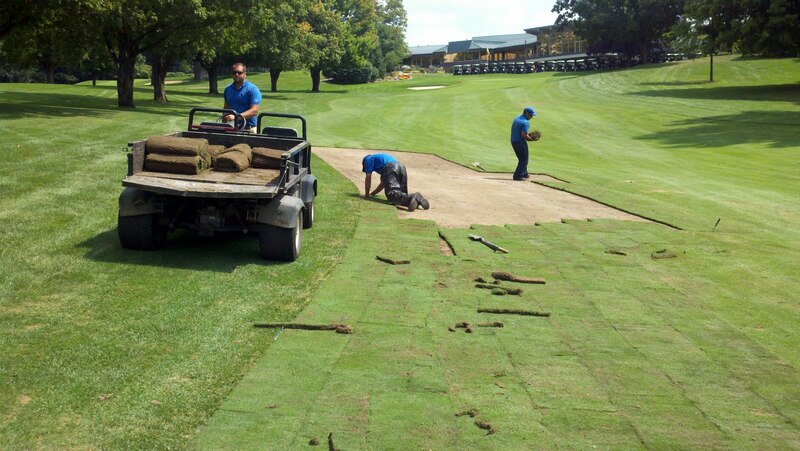 On days when we do not have the bunkers scheduled to be raked and we see many of them looking like the one pictured above, we are forced to put-off other necessary tasks so that the bunkers can be repaired and be made playable to the standards that are expected. Please consider the groups behind you when raking a bunker and also remember that the bunkers may not be raked the next day and you may have a tee time. I am fully aware that the greens are slower than we are all accustomed to, but this is no way to take out your frustration. 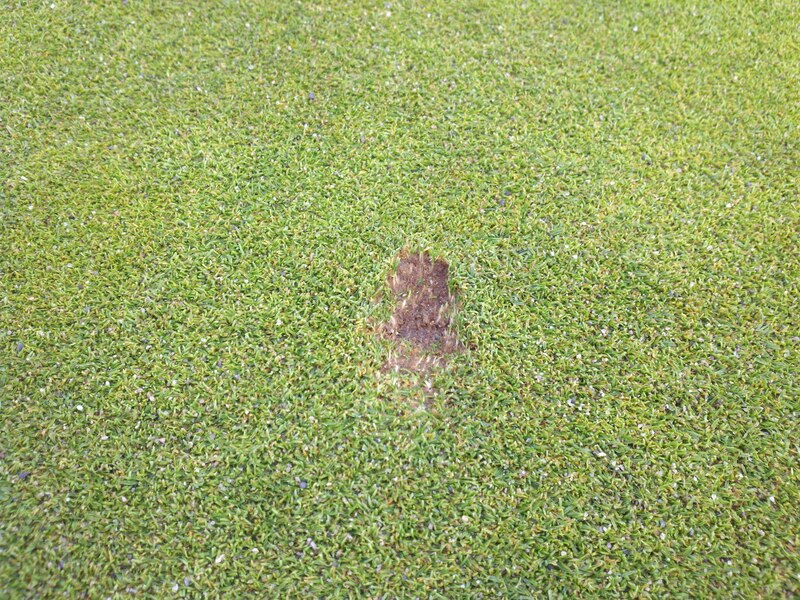 This lovely divot greeted me on Monday morning as I walked up to the cup on #16 green. You can imagine my frustration when I saw this. Situations like this take a significant amount of time to repair because it is imperative that it be repaired in a way that resembles the green before the divot was taken. If not done properly, it will scalp as the mower crosses over it and die or it will lead to an uneven putting surface. Thank you for your cooperation and please know that we are doing everything within reason to get the golf course back to its normal condition as quickly as possible. The cooler weather has helped significantly and has led to improved playing conditions. The greens are still being mown at a slightly higher cut, but I have been comfortable enough to dust off the roller and put it to good use on select days. Stay tuned for another update coming soon.